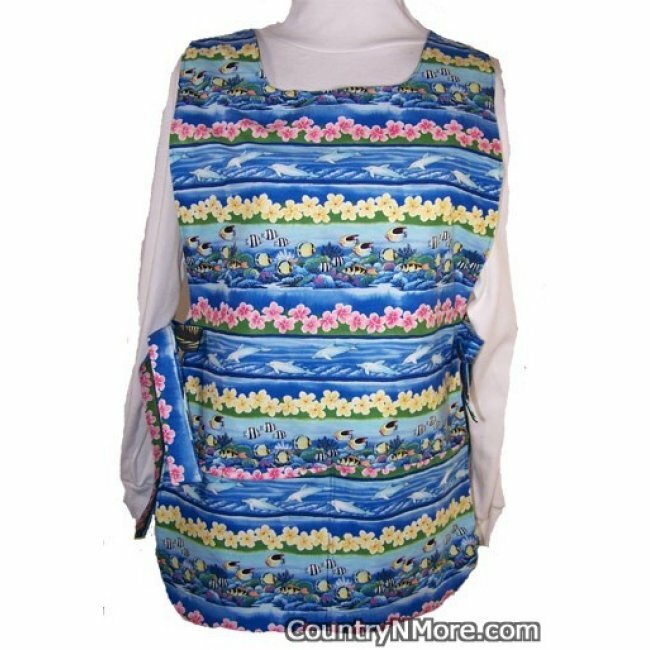 This reversible Hawaiian print cobbler apron, is far the most beautiful aprons so far. Set against gorgeous blues, the boat is sailing on the gorgeous blue waters of Hawaii.Tropical palm trees can be seen throughout this print, along with the gorgeous Hibiscus flowers. 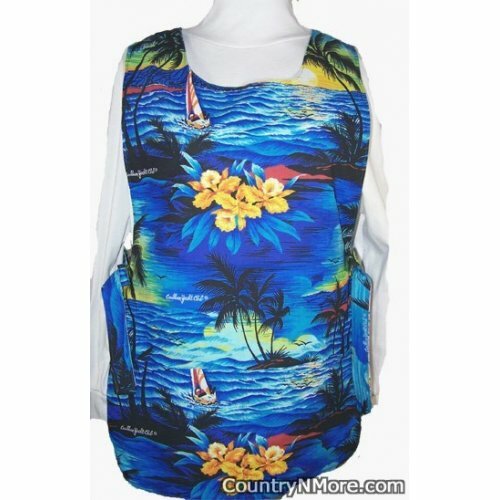 The other side of this handmade, reversible cobbler apron, is made from a striped tropical print. There are rows of pink Hibiscus flowers, schools of tropical fish, yellow Hibiscus flowers, and dolphins playing in the nearby water. Pockets on both sides are double stitched in center, so that the pockets don't pull away-adds strength.